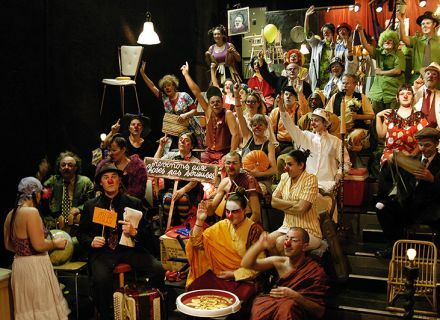 You will have noticed : clowns' invasion this month in our department ! 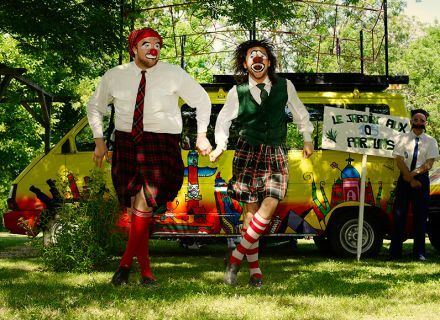 In 25 municipalities, retirement homes, at the hospital, in schools, media libraries, cultural community centers… in brief almost everywhere, we shall see appearing the caravan of the clowns until June 21st, here and there on our passage, for our most great pleasure ! 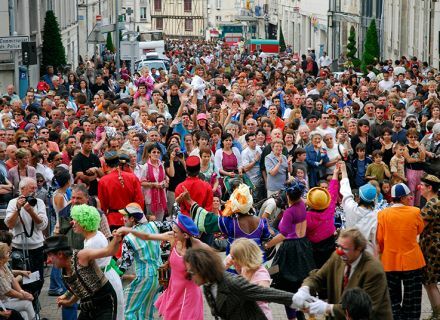 Big gathering : 60 clowns are expected with such fanfare on June 13th and 14th in Niort for the “Très Grand Conseil Mondial des Clowns”. We begin the 7th edition of this inescapable niortais festival. Meeting with Francis Lebarbier from Matapestes, one of the kingpins of this demonstration, a few days before departure the caravan. Francis is a clown who rolled his bump, dragged its shoes… Of amateur clown, he created his company with Hugues Roche, the Matapestes. 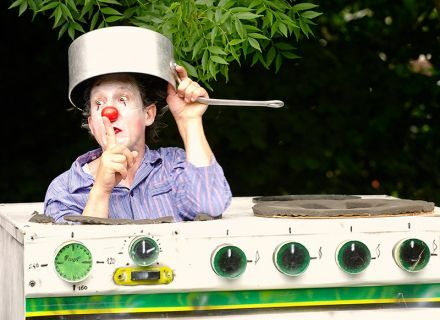 But what is the clowns job today, Francis ? And that does now 33 years of august clowning. 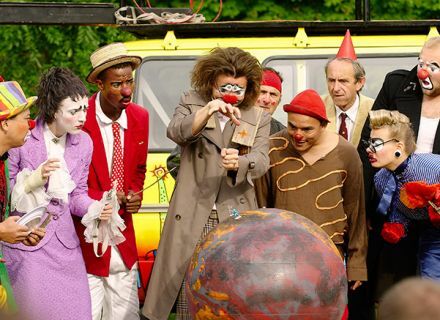 50 visited countries, he met it clowns and especially he wanted, with his accomplice Hugues, to show a different approach from the clown, taken out of the circus, a desire also to share their farcical meetings. 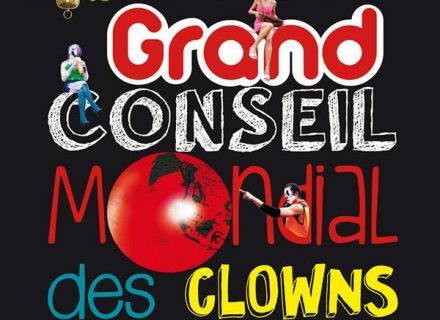 First attempt made a success during Foirexpo niortaise and the Très Grand Conseil Mondial des Clowns was born ! Today, they welcome 21 companies of 11 different nationalities… the mayonnaise set and the public is delighted ! It leads to predict a lot of preparation. I ask the question to Francis if he always has the same fervour as at the beginning. He is getting upset red and it is almost hurt that he answers me. "No, no breathlessness. A lot of work of preparation, appointment, diverse meetings certainly which take time but it is always a pleasure to welcome other clowns, to show in the largest number, clowns came from distant countries, came from different horizons : of the circus, the music hall, the street, the theater… To welcome them is already a pleasure, to show them in public is an other one… to welcome the public is also a reward : all these families, these lovers of the clown, these curious, these tourists, these professionals… it is great to receive." The clowns like coming to meet us. Open them big your arms and be allowed invade by the farcical spirit ! 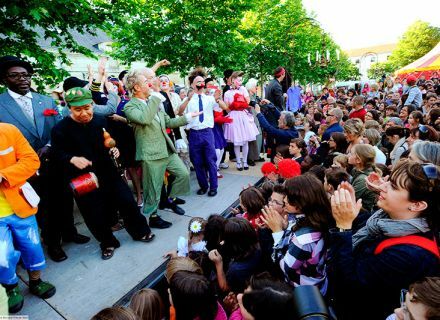 Photo credits : Alex Giraud, Christophe Bernard - Ville de Niort, Clowns Matapeste.